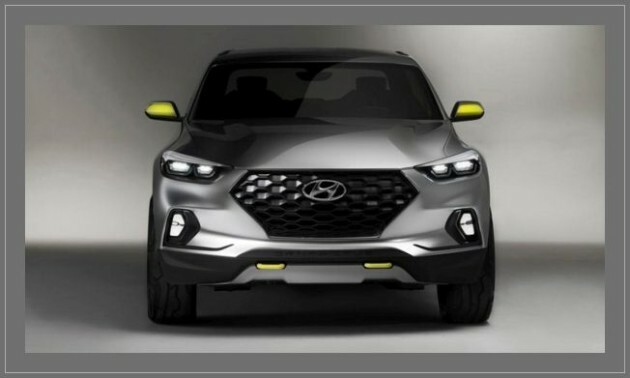 Rumors of Hyundai introducing a pickup truck to the U.S. market have circulated for years, but the actual thing never happened. Not until now, that is. 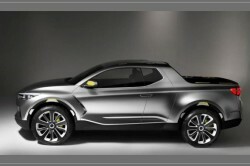 Korean manufacturer finally decided to break the stalemate and introduced a pickup concept at this year’s Detroit Auto Show. 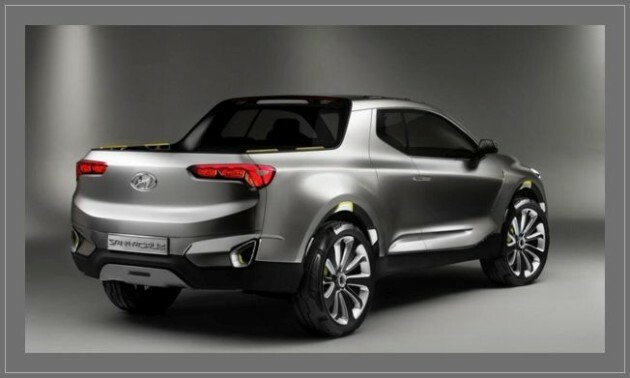 2015 Hyundai Santa Cruz is not what people expected, but this isn’t necessarily a bad thing. 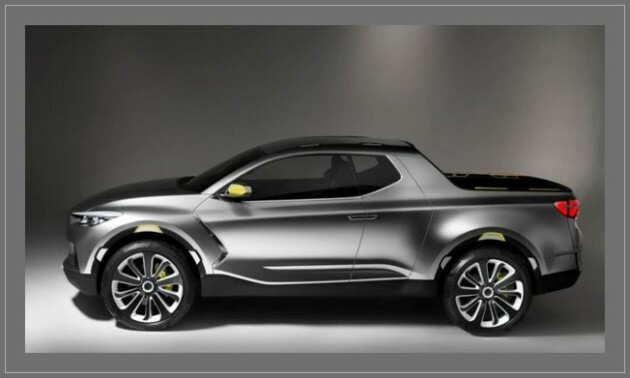 Santa Cruz is a compact pickup with diesel power and way too sleek styling. As already stated, 2015 Hyundai Santa Cruz is powered by 2.0L turbo diesel 4-cylinder engine, quite popular these days, it would seem. Oil burner is capable of delivering around 190 hp and 300 lb-ft of torque which is enough for a compact pickup. 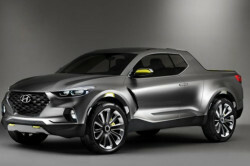 However, Santa Cruz is more than a compact pickup, being smaller than most of its future, possible competitors. 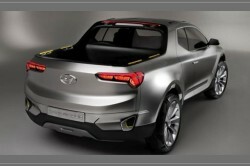 In fact, truck is based on a crossover unibody structure and Hyundai already sells one Santa crossover. Crossover truck, as they call it, is smaller than expected and comes with short bed length and extended cabin. Bed, however, can be prolonged by some five feet thanks to a prototype mechanism which moves the tailgate with it. 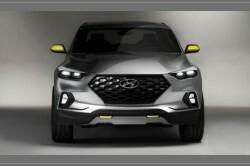 This could become much sought-for feature if Hyundai decides to actually produce it since it would allow the truck to park like a car and still carry as much cargo as any compact pickup. Actual design is really crossover-like with all the curved edges and unconventional lines for this type of vehicle. 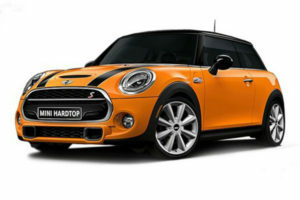 Huge hexagonal grille and thin trapezoidal headlights look quite menacing, and there’s an air intake behind the front fender from both sides. 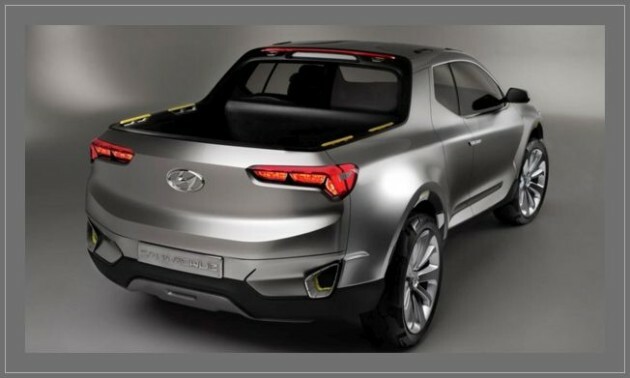 Hyundai also decided to use rear-hinged, suicide doors for the concept, but these would hardly find their place in production-ready model. Rear end is also sleek and elegant, and unlike most trucks, offers horizontally laid tail-lights. Throughout the whole body, Koreans decided to offer bright lemon-yellow accents which offer a fine contrast for concept’s gray paint. 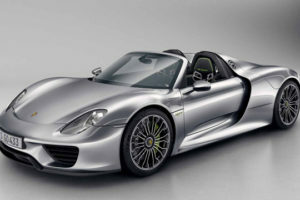 We haven’t actually seen the interior, but however it looks like, it won’t make production, just like the exterior. Or will it? Being a compact truck, 2015 Hyundai Santa Cruz certainly doesn’t offer lavishly decorated cabin, but it can still seat up to five passengers, at least in theory. 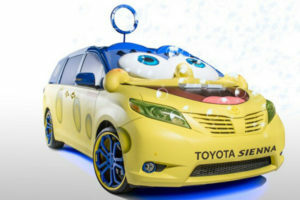 Moreover, all features from Santa Fe would certainly be adopted, and Santa Cruz would have to add some unique tech of its own. 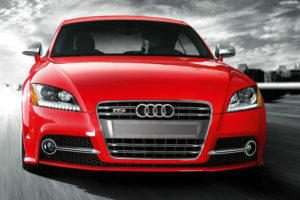 As already mentioned, 4-cylinder turbo diesel option is really popular these days. 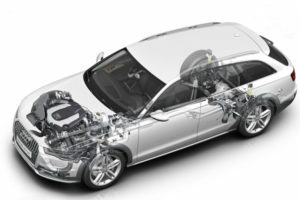 The reason for that are its high fuel efficiency numbers and very good torque output, extremely suitable for pickups. Santa Cruz is supposed to land in high thirties on the highway when fuel efficiency is concerned, and base price shouldn’t be higher than somewhere between $20,000 and $25,000. 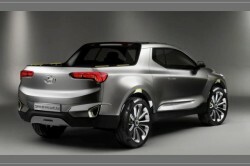 2015 Hyundai Santa Cruz is a pickup concept that could really shake the market. This crossover-truck combo is something you would either love or hate, but as things look so far, it would certainly deserve a chance. Will Koreans decide to produce it the way it is? It is highly unlikely. However, they still might keep the base intact, and we have certainly seen them experiment in the past.